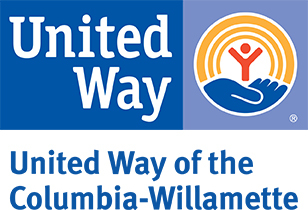 Habitat for Humanity Portland/Metro East serves Multnomah County and northern Clackamas County and has the ability to reach out to families one step away from homelessness. Habitat sells homes to hardworking people in need of decent, affordable housing. We are an independent affiliate of Habitat for Humanity International, a non-denominational Christian housing ministry and global home building movement. We welcome people from all walks of life to partner with our program to serve families in need with generosity, humility and love. Habitat offers homeownership opportunities to families making $21,900 – $43,800 (for a family of four) by selling homes at cost, making no profit, after the family contributes 500 sweat equity hours. Houses are sold at cost because of volunteer labor and donations. Families pay a 1% down payment on a 0%- interest mortgage. Instead of being in a vulnerable and fragile economic position, Habitat families find themselves in a position of strength. As the oldest Habitat for Humanity affiliate on the West Coast, and the largest in Oregon, Habitat for Humanity Portland/Metro East has served low-income, hardworking families for over 30 years and has served over 200 families. Our homeowners are committed and successful. We have experienced less than a 1% default rate on our mortgages, lower than the national average. By providing a hand up, not a handout, our program maintains the dignity and pride of our homeowner families.